The Sally long sleeve sweatshirt by WoodWood in draped jersey is made from a fine viscose and elastane blend to ensure a stretchy comfort. The Sally long sleeve by WoodWood is made from a fine viscose and elastane blend to ensure a stretchy comfort. 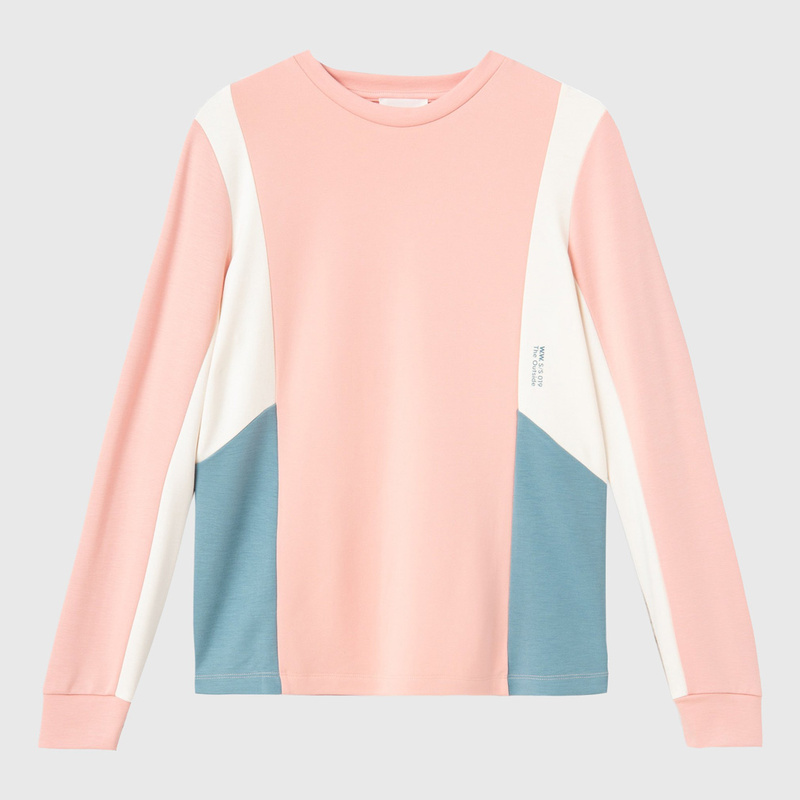 This sweater features colourblocked contrast side panels, stitched collar and hem, tubular cuffs and a season signature print on the left front panel.